I have been writing about my travels around Rajasthan India over the last few months. 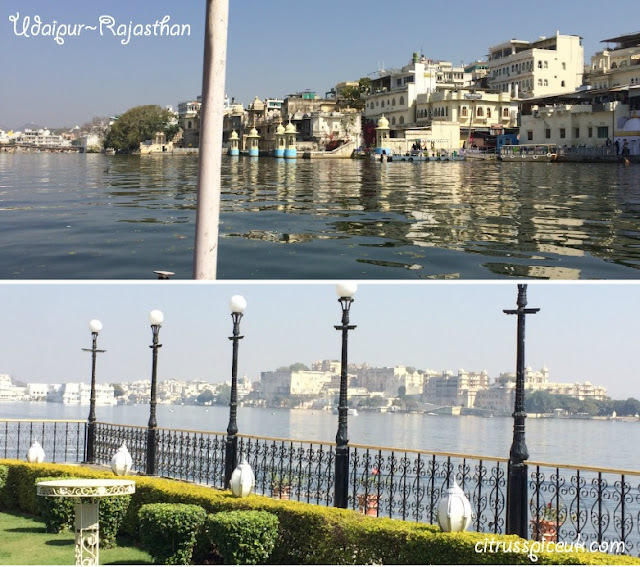 Our next stop after Jaipur and Jodpur was the beautiful city of Udaipur. We had a total of two full days to spend in Udaipur. We stayed at the Ramada Udaipur Hotel and Spa, it is outside the city center away from the hustle and bustle. The hotel is beautiful and has a very heritage feel to it. We arrived very late to Udaipur so we spent the evening relaxing in the hotel. 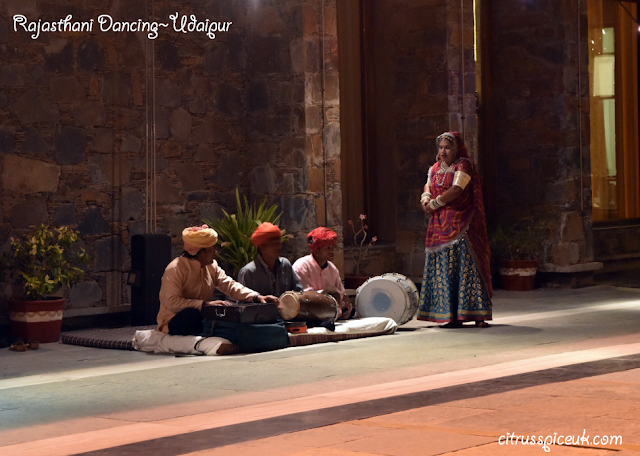 After a delicious Rajasthani dinner, we enjoyed a lovely Rajasthani Folk show that the hotel had arranged for the guests. It was beautiful and we joined in with the dancing too. 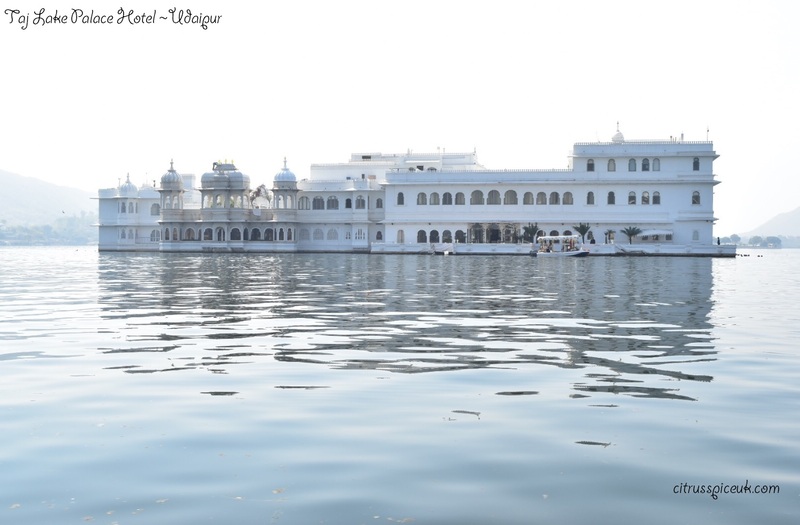 There are many historic and religious places you can visit in Udaipur however if you are limited for time like we were, I would suggest to pick 2-3 key places to visit and enjoy them thoroughly. The next day after a hearty breakfast, we visited the City palace and Museum in the morning and then took a boat ride on the Lake Pichola with a stopover for lunch/ afternoon tea at Jagmandir palace hotel.The evening we took advantage of the light show before enjoying dinner at a lakeside restaurant. Built over a period of nearly 400 years, City Palace is situated in the city of Udaipur, Rajasthan. It is a magnificent palace which looks beautiful from outside and is equally interesting from inside. 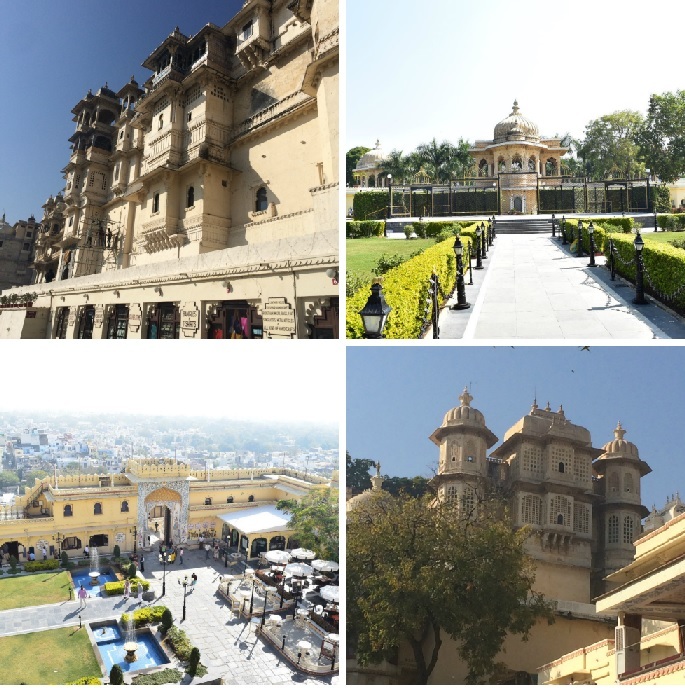 The palace boasts wonderful architecture heritage from the Mewar Dynasty, its traditions, the interior have walls carved with beautiful designs using marble and glass. Within the palace is a government museum. On show are many antic artefacts, beautiful paintings, rare musical instruments, and exhibits of ancient Gods, silver and gold ornament displays, glass works and much more. 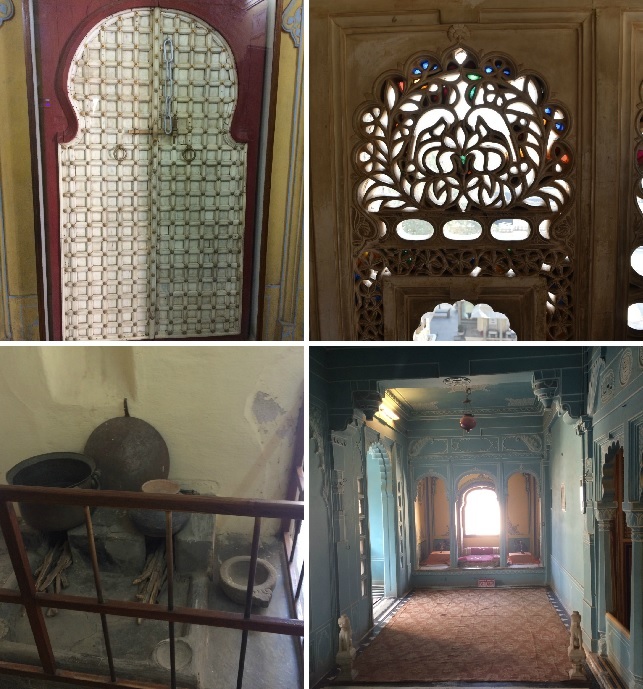 To fully understand and enjoy the Mewar history it is recommended to take a guided tour of the palace. Alternatively there is audio tour available in various languages too. The ticket price for the palace entrance is 30 rs, however there is an additional charge for the museum entrance and you have to pay extra to take cameras and videos. 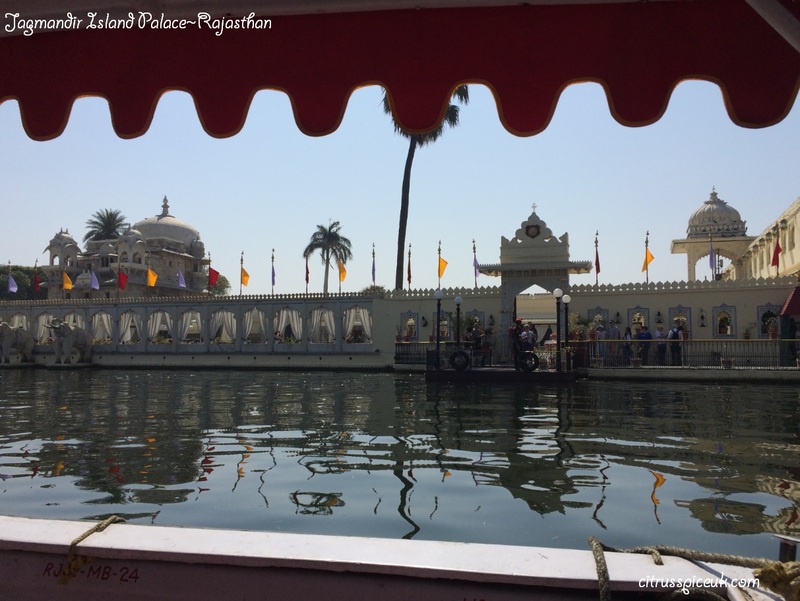 Lake Pichola is situated in Udaipur city in the Indian state of Rajasthan. It is named after the nearby Picholi village. The lake is an artificial fresh water lake, created in the year 1362 by Pichhu Banjara during the ruling period of Maharana Lakha. It is set with the perfect backdrop of lush green hills and has and The City Palace of Udaipur stretching along the eastern banks of this lake. Along the lake you can also visit the Mohan Mandir which is situated in the north-east corner of Lake Pichola. The picturesque lake is surrounded by hotels and many small rooftop cafes and guest houses. The lake is encased by ghats such as Gangaur Ghat, Lal Ghat, Hanuman Ghat, Ambrai Ghat and many others Ghats. In the southern part of this lake, there is a hill that is known as Machhala Magra and you can see glimpse of Eklinggarh Fort from here. Lake Pichola comprises of several islands that accompany the calm waters of the lake. On Jag Island you will find the well-known Taj Lake Palace Hotel and also the nearby Jagmandir Island where you will find the Jagmandir Palace, which is now a hotel. Both hotels are beautiful inside and out and are also used as destination wedding venues by the rich and elite. Above all, a trip to Pichola Lake would be incomplete with a boat ride.You can take a boat ride at any time of the day and there is an option to stop off at Jagmandir Island Palace Hotel before returning back to the city palace. 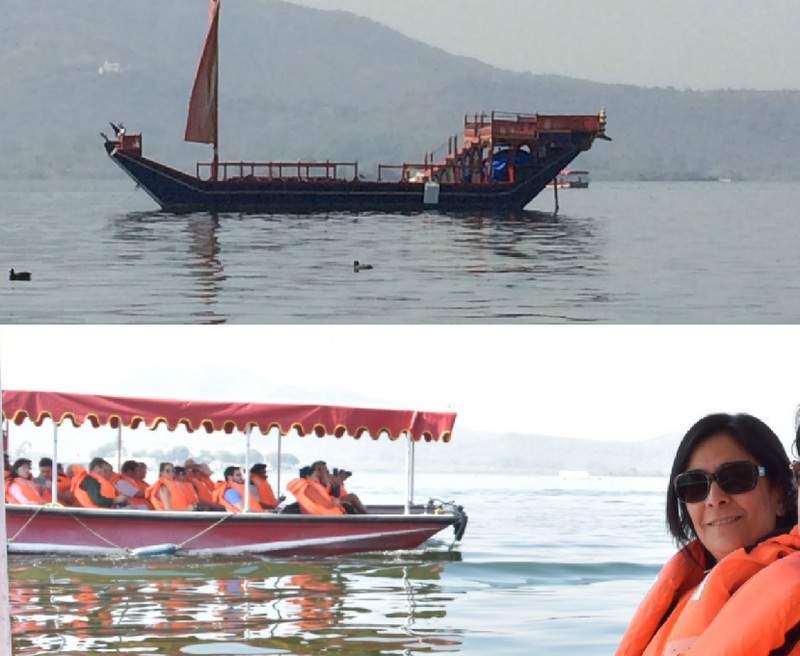 The boat ride is INR 400 before 2 PM and INR 700 per person after 2 PM. We spent our second day in Udaipur shopping. You will find beautiful Rajasthani meenakari item, colorful textiles, gemstone paintings, oxidized silver & copper items, Pichwai & miniature paintings, sculptures, panels, paintings, and other item in marble stone. Costume jewellery, lac bangles and jhoothis (embroidered shoes) are a must purchase as they are beautiful. We particularly like the mirror work cushions and bed spreads and also the colorful Bandani sarees and ethnic wear. 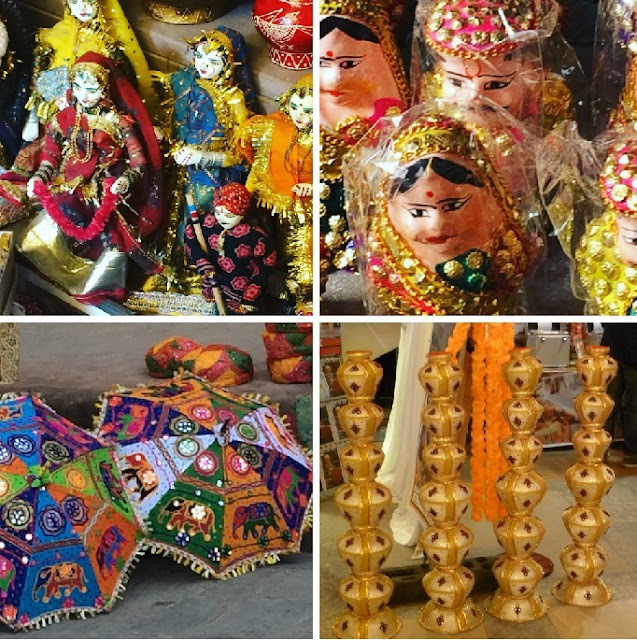 There are many bazaars and markets dotted around and you will be mesmerized with the beautiful and colorful Rajasthani artefacts and the shopping experience is one not to be missed. 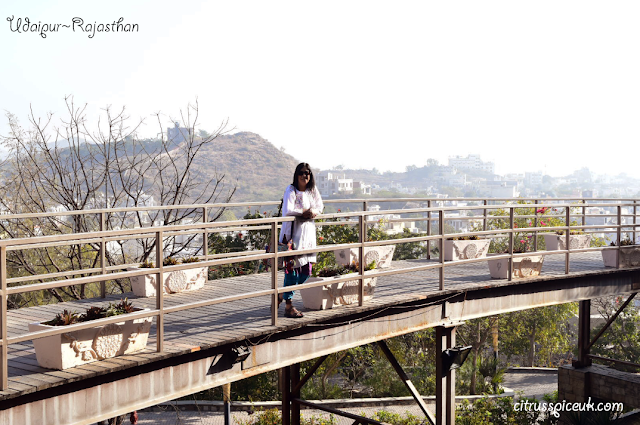 Our next destination from Udaipur is Mount Abu which I will feature in my next post. To read about my other posts in the India Travels series see the links below. 10 Essentials to carry in your hand luggage. 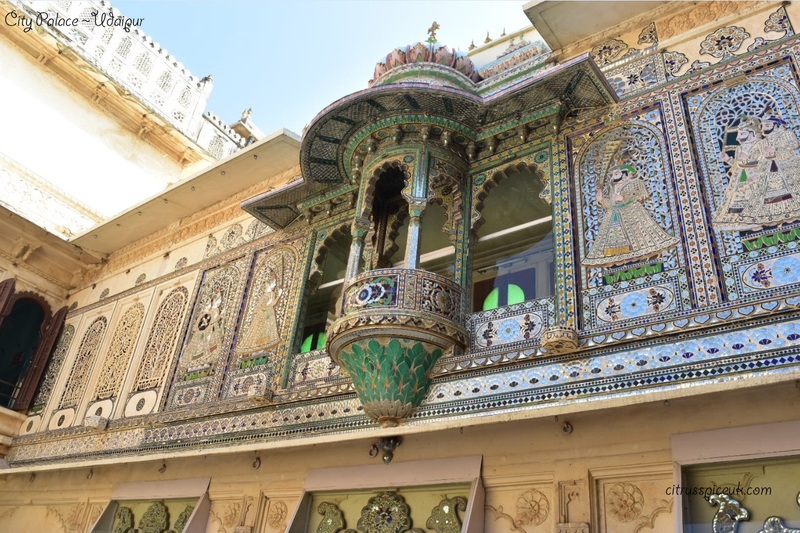 There is so much to see and do in Udaipur, you could spend days exploring it all! Oh wow .... looks incredible. I would love to travel around India. I have never visited India and it is still a destination that I am unsure of. On the one hand it looks beautiful but on the other hand I am so uncomfortable with the extreme poverty exists there and I would feel bad to go there as a "rich" tourist. I'm not saying I will never go as I am an absolute fan of traveling but I have never known what to do about India. I love the sound of India, such a beautiful culture. Great food, great clothing, everything is so pretty to look at. I'd love to visit India - it looks so beautiful and Udaipur looks incredible! I'd definitely want to visit the City palace and Museum, the decor is so lovely. Detailed post on North India, you covered all the details in a single post with very few words.. loved this integration of the page.. This is an super guide for those who seek to visit North India.. Thanks for this wonderful share Nayna.. I would absolutely love to visit Rajasthan. India is so high up on my travel bucket list. My husband has visited a lot with work, but we haven't visited together. Rajasthan looks so beautiful, that palace is incredible! 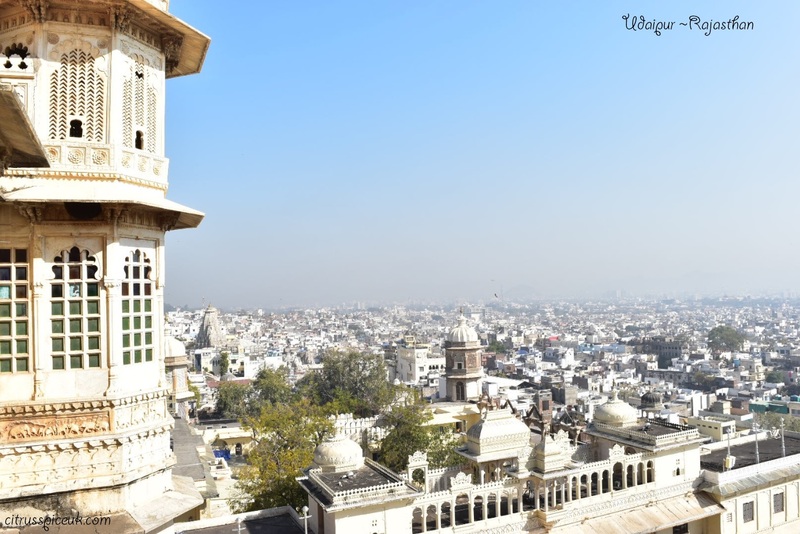 I have never been to Udaipur and after reading your article, I must put that in my bucket list. I like the sound of food and the colour of rajastani clothes and jewellery. Love your pictures - I want one of those umbrellas!! It is such a beautiful city with palaces and lakes. Visited last year too.It was a memorable stay in the Taj Lake Palace. Wow what a gorgeous place to visit with so much to see and do! I have never been to India but this is exactly as I imagined it to be! 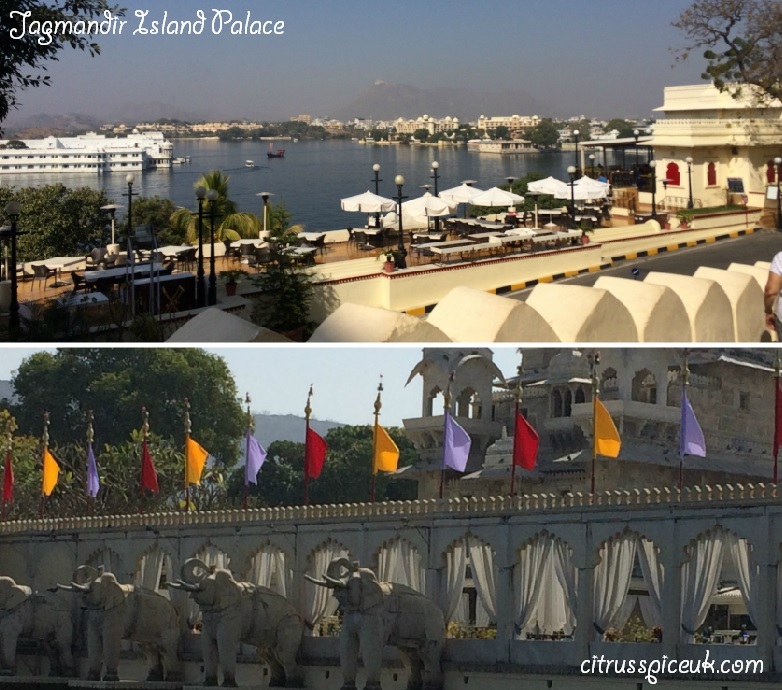 I've never been to India myself, but Udaipur looks beautiful! I love how vibrant and beautiful it is. The palace looks gorgeous! What a beautiful place to visit! I've not been to India yet, but my husband has and it was quite the experience for him. Wow! Such love places to visit there. I haven't been to India and will definitely include this on my bucket list. So so beautiful. I am in awe of just how wonderful India is. I always said I would go, and yet as yet never been. I love the buildings, the food sounds delicious, and the scenery, amazing. I've never been to India before but Udaipur looks beautiful! I’ve never been to India, but have just seen these cities in Bollywood movies. They surely look like amazing places to explore. Awesome. I never really considered visiting India but you may have changed my mind. It looks beautiful!!! Those lake waters look so peaceful Nayna! Wow! this place is truly majestic - historical and yet so much to explore. I wish to visit and witness it myself. Thanks for sharing. Beautiful place! India does look like a country worth visiting. There are so many scenic spots I have learned about through your blog. However, I am also attracted to buying bangles, those colorful umbrellas, and a few other small items for my home. I wish I could visit soon! I really need to get back to India. It has been years, love the photos, it is such a beautiful place. This place is incredible, look at all that beauty!! I have always had a fascination with india. Beautiful photos! 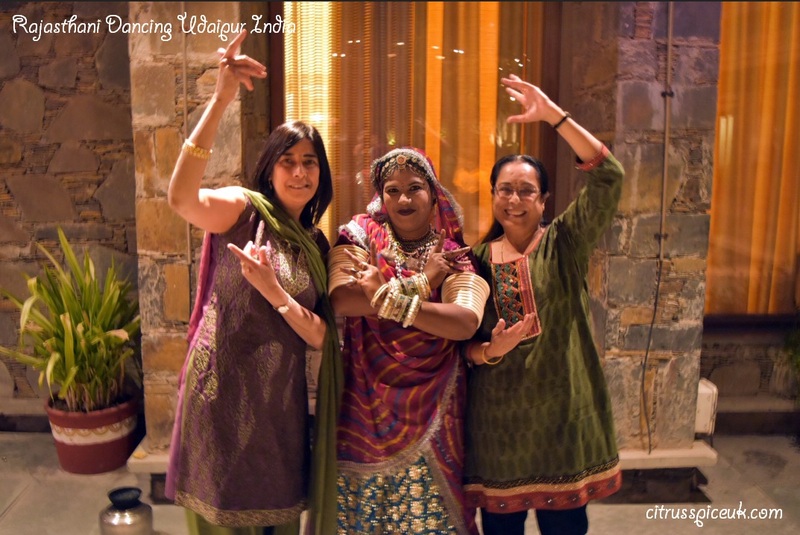 I’ve never heard of Udaipur before but your photos make me want to visit! I have always wanted to visit India. The colors and all the textures are so pleasing to my eyes! Looks like so much fun! Without inspiration the best powers of the mind remain dormant. There is a fuel in us which needs to be ignited with sparks.Your valued comments are my inspiration,Thank you for taking the time to leave me these motivational words. Please spare a moment and click on the widgets in the sidebar to follow this blog to get regular updates. If you would like regular updates from this blog do take a minute to to join the site via facebook, google friends connect or google plus. Please do not use this comment platform to advertise your own site, all such comments will be deleted. Welcome to citrus spice & travels. A blog about travels, food, art, craft and lifestyle. My 15 top travel tips for India.